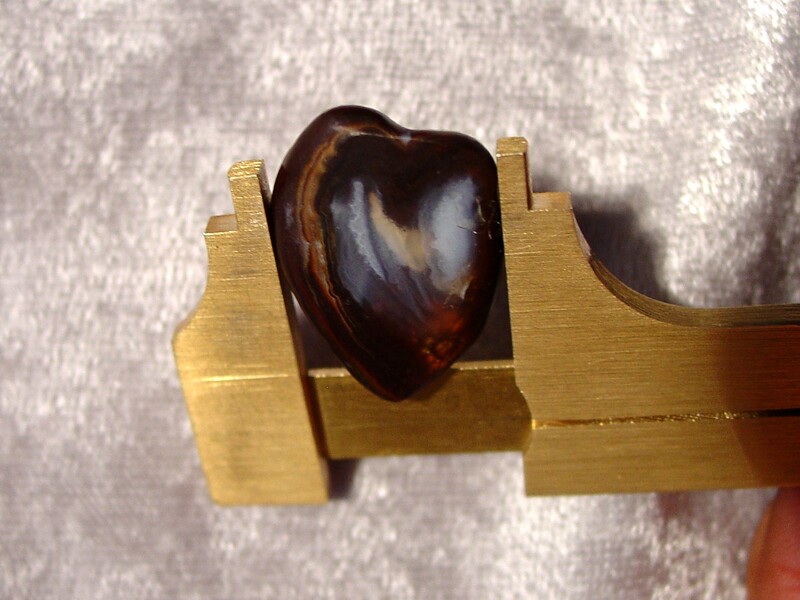 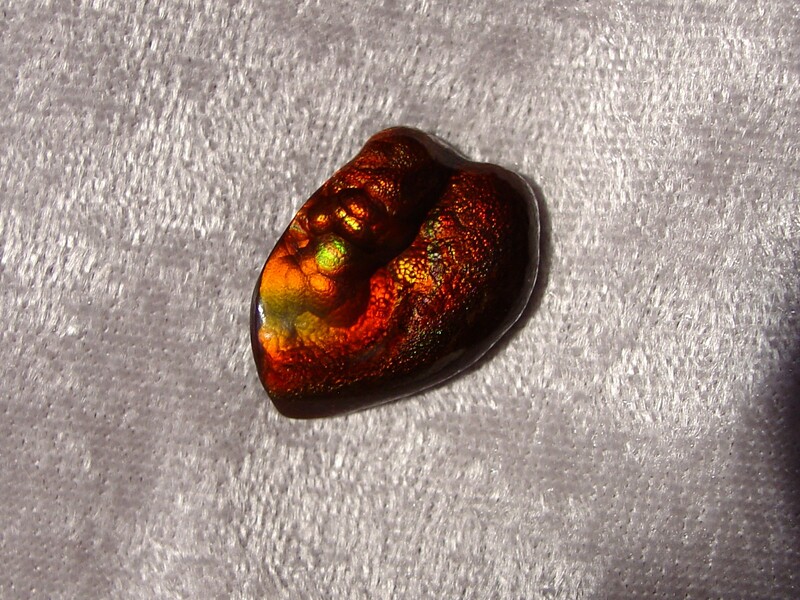 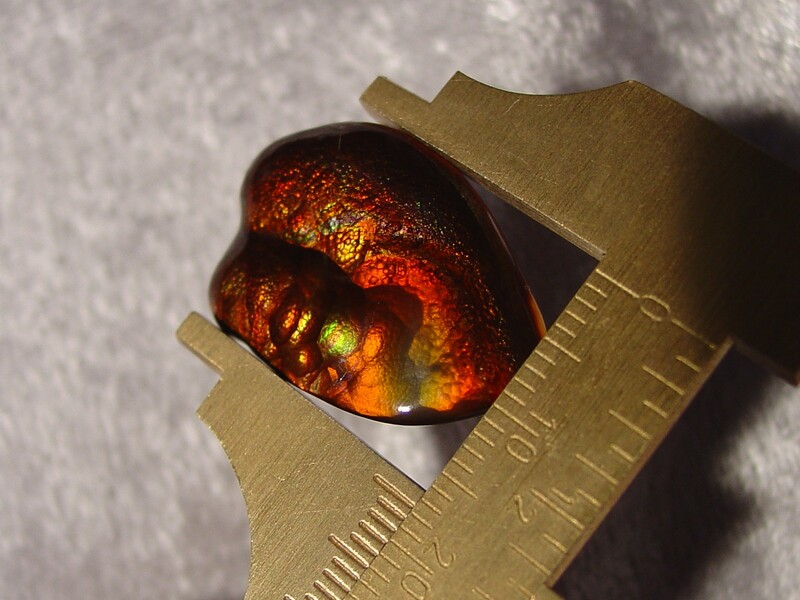 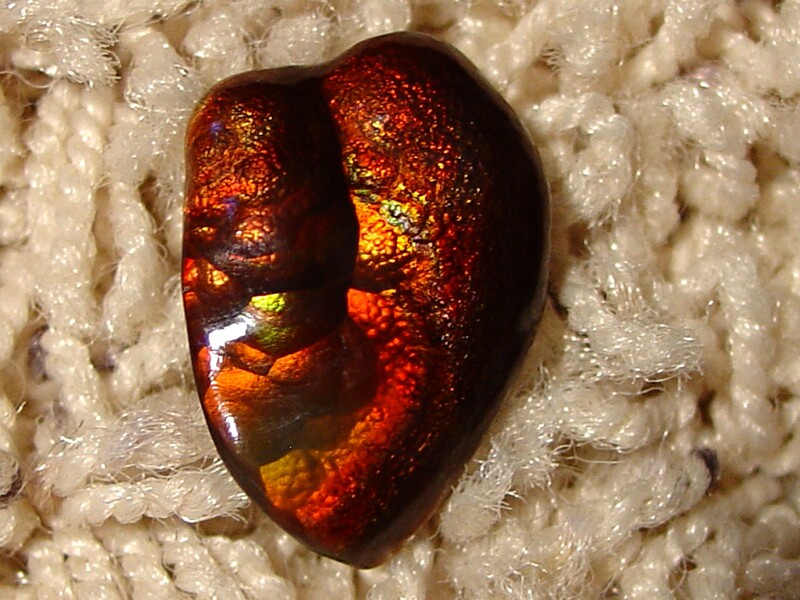 , a nicely carved free form cabochon, measures 24.5 x 16.5 x 5 mm and weighs 19.8 carats. 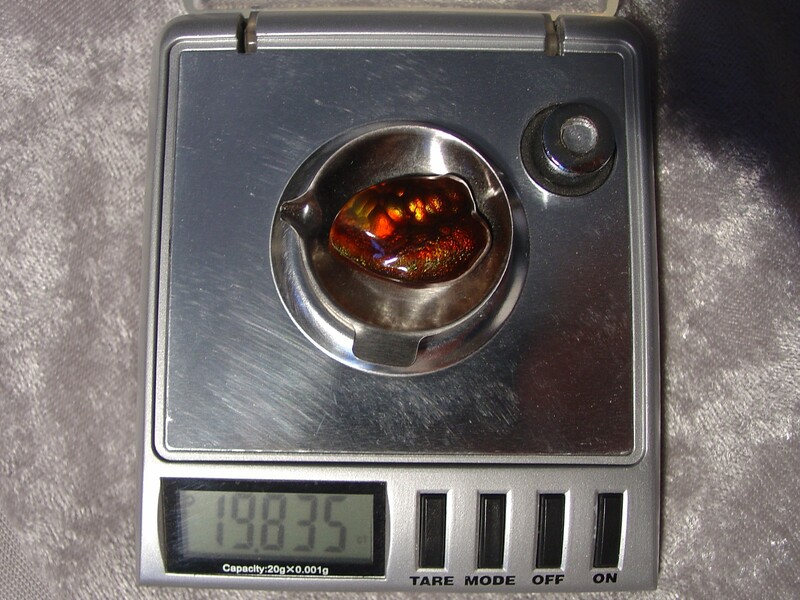 It is a highly polished gemstone which has full fire coverage and a great array of bright colors. 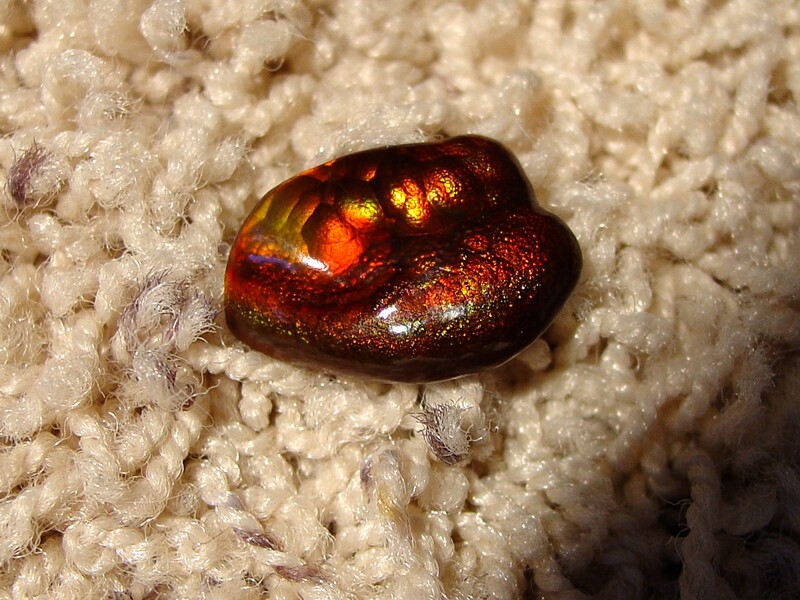 This piece would make a great addition to any gem collection or could also be made into a lovely piece of fire agate jewelry. 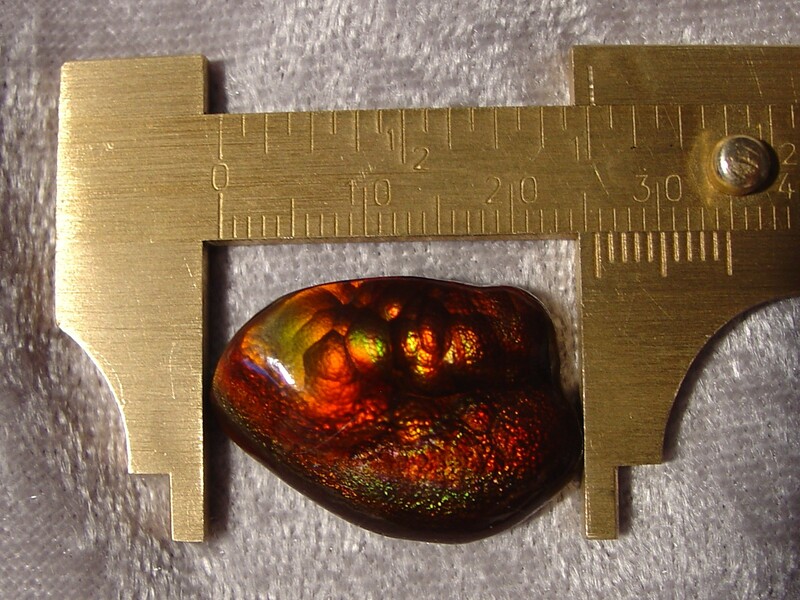 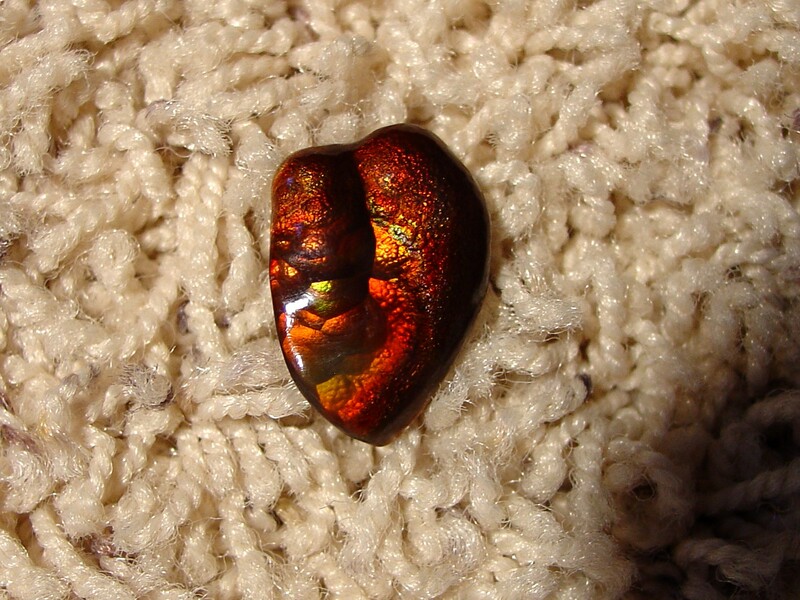 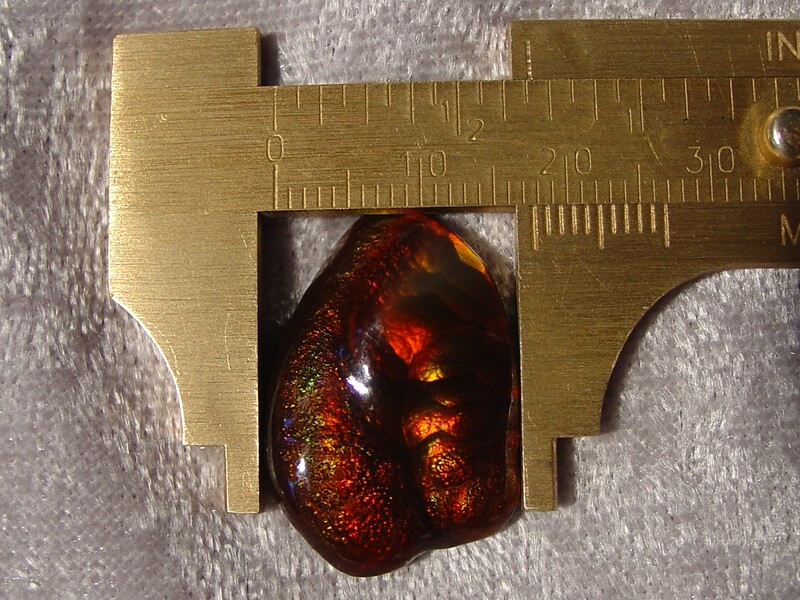 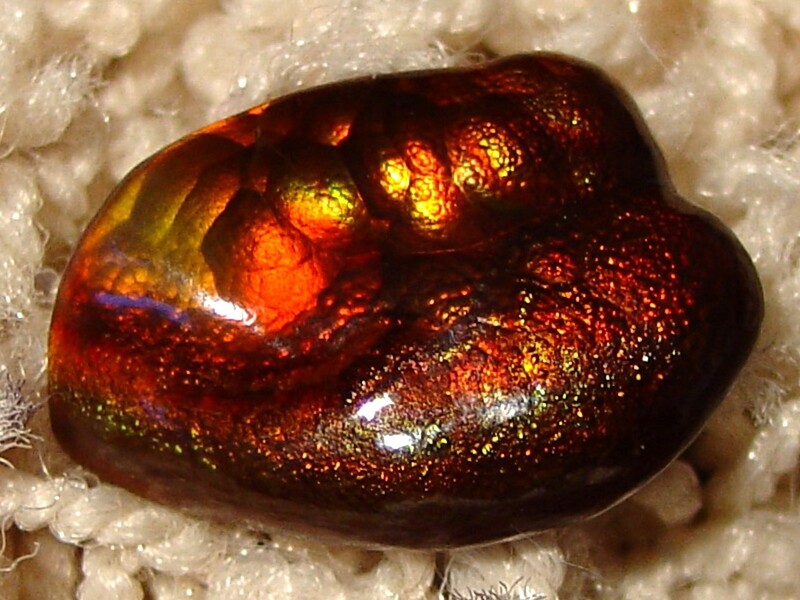 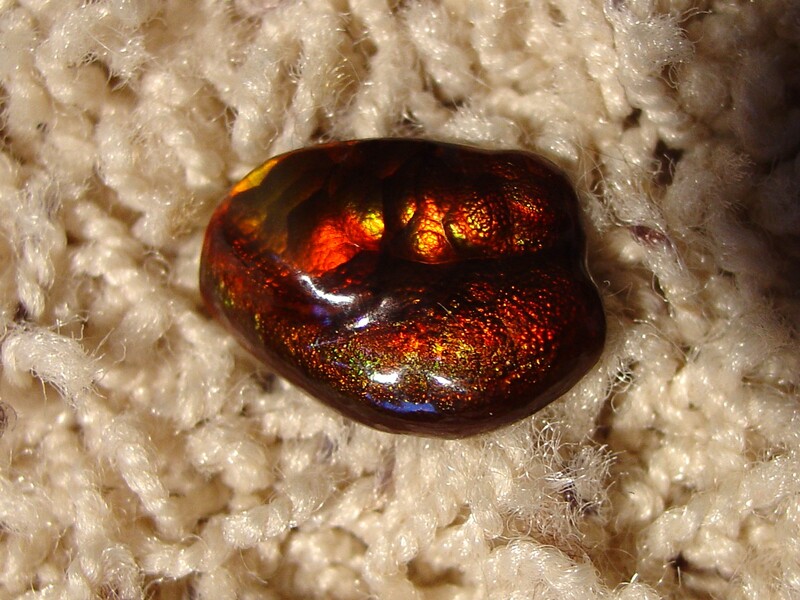 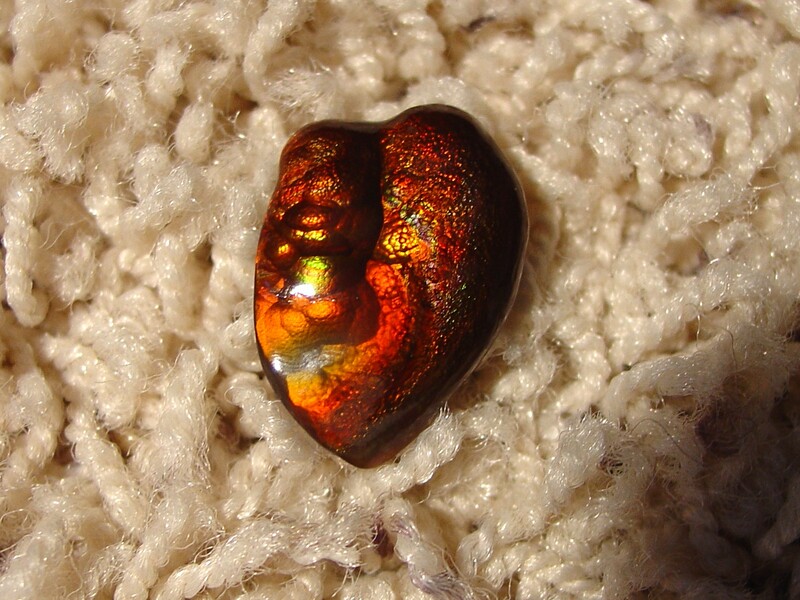 This gemstone originates from Slaughter Mountain, Arizona, known for some of the best fire agate gems in the world.